Published on February 8, 2019 at 12:00 am . This is your last chance to get in for all this year’s draws! VANCOUVER, BC, February 8, 2019 — BC Children’s Hospital Choices Lottery’s Appreciation Reward Deadline is Midnight, Tonight – it’s the first bonus deadline of the year and, if you order your tickets today, you’ll be in to win a draw worth over $30,000. 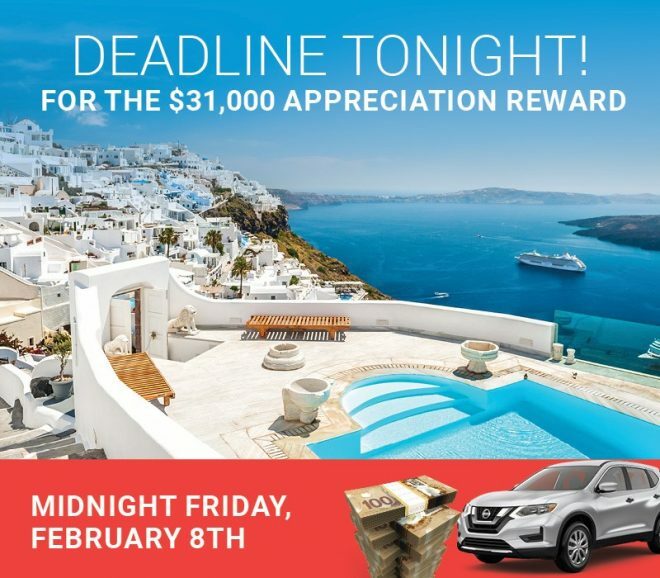 Choose a terrific Travel package from Carlson Wagonlit, a Nissan Rogue SV AWD, or $27,000 Cash. There’s something for everyone in this year’s Choices Lottery! Over 3,200 prizes, over $3.8 million to win. Plus, don’t forget about BC’s biggest 50/50 – the jackpot could top last year’s total, $1,763,925 – or the Big Passport PLUS. Win so much more for just a few dollars more. 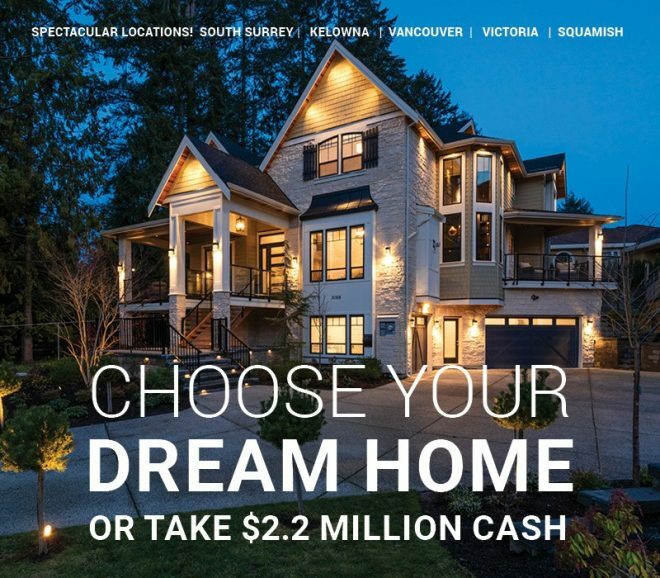 Would you choose the idyllic neighbourhood living of South Surrey? How about an ‘Elgin Estate’ – 6,000 square feet of absolute heaven? Or you can live the city life in downtown Vancouver at Mirabel – in the exciting, vibrant West End, only steps from the beaches of English Bay. Or choose a different downtown – at Kelowna’s One Water Street, one of the Okanagan’s most incredible, luxurious living experiences, or at Victoria’s Capital Park Residences, a two-bedroom townhome right beside the city’s Inner Harbour. How about an ‘Income for Life’ package, with homes in Squamish and Vancouver? Or a Country Club Estate in Kelowna’s Quail Ridge? The choice is yours, and there’s a choice for everyone! This year’s biggest Grand Prize package is worth $2.8 million.